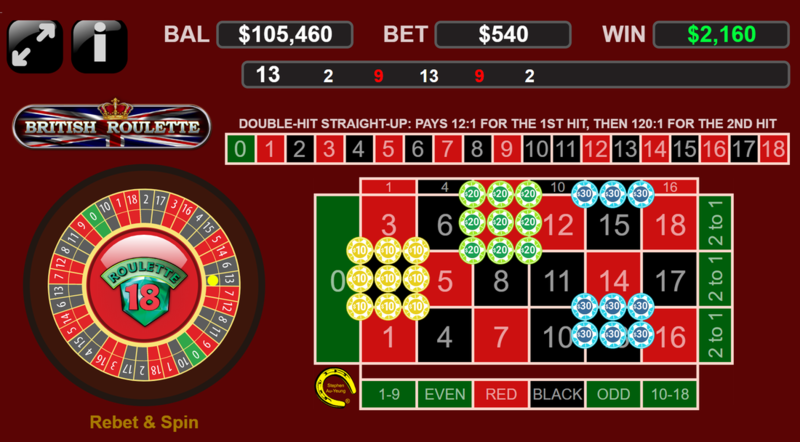 The First and Fastest 19-Numbers (0-18) Roulette. Using Deck/s of Roulette-18 Cards. ​Exciting and Space-Saving. House-Edge 5.26%! ​Suitable for Any Small Casinos, Cruise Ships, Mobile Casinos, Online Casinos, Live-Dealer Online Casinos, ETG and Others. 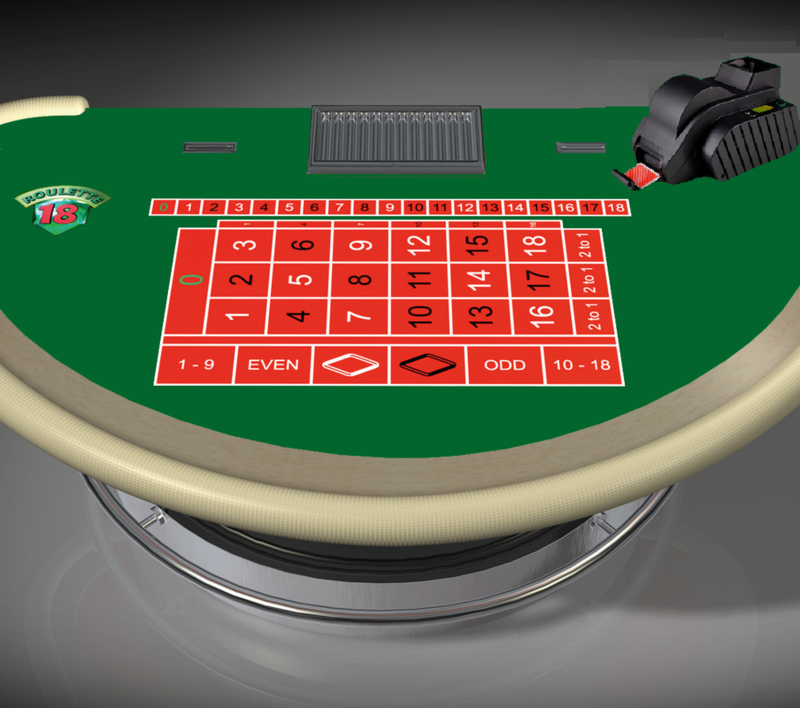 Roulette-18® Shuflette® uses Deck/s of Roulette-18® Cards and a unique layout that does not require a Roulette-sized table. 2. One card is randomly selected (e.g. Shuffle Machine) from a Deck/s of Roulette-18® Cards, numbered (0-18). The Double-Hit straight-up is a proposition bet based on two consecutive draw of the cards.